The Brod Law Firm's expert Berks County car accident attorneys litigate and settle many successful auto accident cases each year. The roads in Berks County can be especially hazardous due to high volume with many commercial vehicles on Route 422, Route 12, Route 222 and from the Morgantown exit. Top rated Berks County car accident lawyer, Gary Brod has over 30 years of extensive experience representing victims of many multi-vehicle accidents involving tractor trailers and trucks with top results. He has successfully resolved over 702 motor vehicle accident claims in Berks County alone involving all types of motor vehicles, including cars, delivery trucks, vans, tractor trailers, dump trucks, cement trucks, garbage trucks and tanker trucks transporting combustible materials and foods. Why Do You Need A Car Accident Lawyer In An Auto Accident Case? Why Choose Berks County Car Accident Attorney Gary Brod? Our Berks County car accident attorneys recommend that you take several important steps after an automobile accident. First, insist upon receiving immediate medical attention. Even if you do not feel injured at the moment, it is possible that you will develop injuries later. If you feel any pain at all, no matter how insignificant it seems at the time, insist that the medical provider include that in his or her report. Also, request that the driver of the other vehicle receive a medical exam, as well. Under no circumstances should you sign any documents that say you are not injured. Do not give interviews that could potentially be used against you in the future. 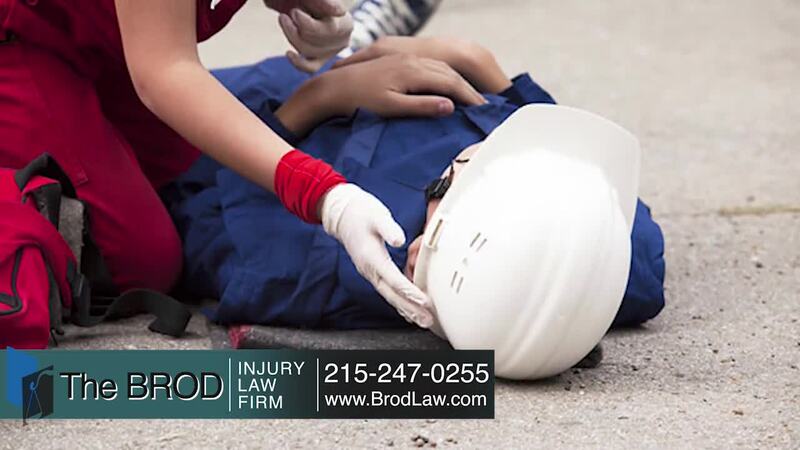 Finally, contact The Brod Law Firm to consult with an expert Pennsylvania car accident injury lawyer regarding the collision. Remember, time is of the essence and it is possible that your attorney can gain valuable information soon after the collision that he or she might not be able to gather later. The Brod Law Firm's experienced auto accident injury lawyers welcome you to contact our offices at any time. It will not cost a penny to speak to Berks County Injury Lawyer Gary Brod who will personally handle your case, nor will it cost you anything up front to retain his services as he carries all costs. In your no obligation consultation your case will be discussed and the facts will be reviewed and evaluated on the spot by attorney Gary Brod with an opinion of what we can do for you and your case. Gary Brod knows Pennsylvania auto accident Law and understands the medicine behind your injuries. We handle auto accident injury cases throughout the state of Pennsylvania. Perhaps the best spokespersons for what we do here at The Brod Law Firm are our former clients who come from all walks of life imaginable and from all over Pennsylvania and beyond. Get a glimpse of why our clients are glad they found us. It is a fact that most of our business comes from satisfied clients who refer family and friends. Read about what the families and individuals that we have fought for in the past have to say about the work we do and the results we deliver..... in their genuine handwritten, thank you notes and then decide if this firm is the right choice with which to entrust you or your loved one's personal injury case.